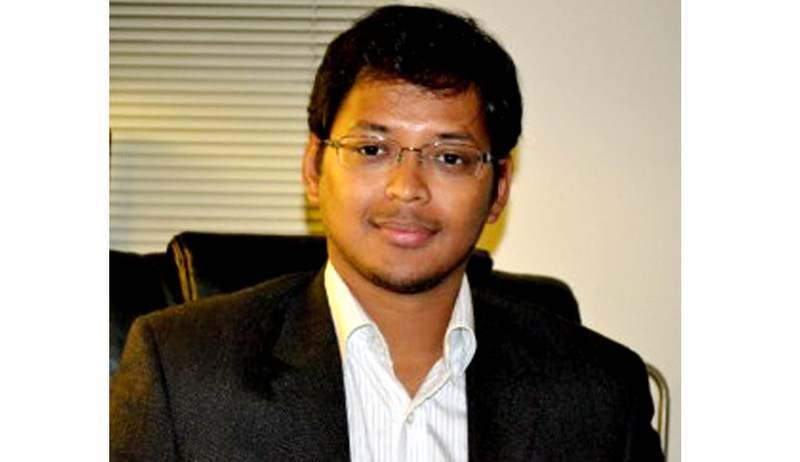 Swaraj Paul Barooah did his BA.,LL.B degree from Nalsar University of Law, Hyderabad in 2009. He went on to UC Berkeley to do his LLM in 2010 and is currently a JSD Candidate there. His LLM thesis was on ‘Drug Innovation Policy and Access to Medicines’; and his on going JSD dissertation is focusing on deeper issues in this same area. His core IP interest areas are International IP policy, innovation, pharma patents and digital freedoms. His major gripe with IP today primarily revolves around uninformed and/or biased policy making, especially so in the context of developing vs. developed country debates; and hopes to play some kind of role in driving more debate and discussion on these issues. He is currently in the process of starting up a Delhi based think/do tank called “Knowledge Governance and Policy (Know-GAP), which will focus on areas of IP, innovation and information policy. Live Law congratulates Mr. Swaraj Paul Barooah for the success and glory of Spicy IP. Live Law: Tell us about your life at NALSAR University of Law, Hyderabad? How did you end up doing BA.LLB in NALSAR? Swaraj: To be honest, with most of my school friends rushing off into engineering and medicine, my primary motivation for getting into law was to get away from the herd. And though, back in 2003, the NLU system didn’t have the recognition it enjoys today, my uncle was then an attorney general and my grand-father had been a chief justice – so I didn’t have the negative impression of the legal field that most people seemed to share. Once in Nalsar though, I can’t say I didn’t wonder if I’d made the wrong choice. While it may have been optimal for several of my friends, who will pledge that it was the best 5 years of their lives, I spent most of it either wondering what I was doing there or playing football. That being said, I recently went back to teach a course at Nalsar, and I’m certain I’d have enjoyed it a lot more had I been there now, than then. Live Law: What lead you to UC Berkeley to do your LLM? Swaraj: By my final year, I was sure of two things: 1) that I was quite interested in IP and innovation policy; 2) that I didn’t want to go to a law firm. I wasn’t sure what career I wanted to pursue though. Having finally found a subject area that interested me so much, I thought it made sense to study it in greater depth. I applied to a few IP masters programs, of which Berkeley was the best, so when I received my admission letter, I snatched up the opportunity. Live Law: At what point of time you decide to move ahead in the direction of IP Laws? Swaraj: Towards the latter half of law school, I was fortunate enough to get the chance to work/study under Prof Shamnad Basheer and Prof V.K.Unni, two of India’s top IP academics. While Prof Unni taught an outstanding IPR course at Nalsar, I came across Prof Basheer by chance. After a miscommunication, I found myself without an internship after my 7th semester and was desparately searching for any kind of work I could do. A friend of mine forwarded some emails including one wherein Prof Basheer was searching for a research assistant. Not having an internship allowed me to put in a lot of time and effort into that RA-ship and mid-way through it, Prof Basheer invited me to join his blog, SpicyIP. The particluar paper I was working on then examined how a small country (Antigua) could use the IP regime to get a powerful country (USA) to respect their autonomy – which I found fascinating. Generally speaking, the more time I spent in the field of IP, the more I found I liked it. Live Law: Please provide some information to any law students out there who may be interested in going for an LLM in foreign Universities? Swaraj: Unfortunately, I don’t think there is any ‘generalized’ information that can or should be given to potential applicants. It’s a highly personalized choice resting on several factors including individual career plans/options, subject area interest, financial situation, etc. The only thing I can generalize is to say that the average LLM applicant can be sure that she’ll come away with a variety of new perspectives that students in India are just not exposed to. Aside from that, I’ve also observed that US law schools are extremely good at teaching students how to critically analyse information. (I specify ‘US’ only because I don’t know about other jurisdictions). For students who are considering LLMs though – some of the factors you may want to consider are brand value, actual teaching/faculty strength in your particular subject area, accessibility to big named faculty, size of incoming class, scholarship potential, and future career opportunities. (For e.g., if you want to get a job in the US after an LLM, the chances are low but whatever chances there are mostly rest on how well you can connect and network with people). Also, this may seem like obvious advice but its very important that you do your background research for each university you apply to and tailor each application specifically to that university as much as possible. Live Law: How do you see law students of today? Is there any difference between the Law School of then and Law Schools of today? Swaraj: Aside from my 5 years of B.A.,LLB in 2004-2009, I also recently spent about 5 weeks teaching at Nalsar, so whatever I say here is just based on what I’ve seen at Nalsar now and then. Based on what these observations are though, I think it’s possible they may be present in several of the NLUs. First - that the overall student body doesn’t seem to be as tightly knit as it once was. This is perhaps due to the increasing competitive nature that is present in these NLUs, with law becoming a more acceptable and even desirable career option than it once was. And perhaps, weirdly enough, due to the internet. I noticed that the only time the campus seemed full (now), with people buzzing around and interacting with each other, was when there were some internet issues or when power had gone! Secondly, another strange observation I had was that the student body also somehow seemed less diverse in terms of how they approached classes and law school in general. My guess is that the general student body has ‘mainstreamed’ their career options and hence, their approach and what they want from law school. “If” true, I think this is unfortunate. However, I also don’t think 5 weeks aren’t enough to really know whether this is a valid observation or not. Live Law: One Incident of your Law School life that you never want to forget, i.e. the most cherished moment? Swaraj: Wow, that’s a tough one. I’ll have to distribute this answer over the various football matches/tournaments our college team went for (and won). Live Law: Since when have you been associated with Spicy IP? Swaraj: For about 6 years now. I started in mid-2008. Live Law: Speaking about Spicy IP, which is one of the only blogs of its kind, please throw some light on it – do you know how the idea of coming up with such a blog came to Professor Shamnad Basheer? How is the blog doing today? Swaraj: I believe Shamnad started the blog in 2005 mainly due to the lack of IP reporting and analysis in any mainstream newsource. The little reporting that was done usually messed up the details or plainly misreported IP news. Fortunately, this has changed (slightly) for the better now. SpicyIP has also been a regular crusader for more transparency in Indian IP – from our (successful) petition to the PM’s office asking for a comprehensive electronic patent database for public access, to our RTI investigations into the authorship of the controversial Section 3(d). Over the years, thanks to our bloggers (special mention to our now former colleagues Sumathi Chandrashekharan and Prashant Reddy) and our readers, SpicyIP has been doing quite well for itself. Amongst other things, it’s been listed as the 8th most widely read patent blog in the world, one of the top 50 shapers of the future of IP, and has been included in several databases (Lexis Nexis, US Library of Congress, etc) as a top IP resource for India. Live Law: What is like being an editor in chief of such a big blog, what is the required eligibility, and what are the responsibilities you carry with you? Swaraj: Our growth has mostly been organic and we don’t have any formalistic ‘eligibility’ requirements as such. And since it’s mostly been organic, I am not the only one who carries out my ‘duties’ but I do have some sort of responsibility to ensure they are carried out. In other words, it’s more of a team effort, with the senior members of the blog chipping in now and then to ensure everything is running smoothly. That being said, my responsibilities primarily include editorial check of guest posts, blog posts, running the SpicyIP Fellowship program, finding topics to write on, ensuring bloggers are meeting their required post quotas, handling sponsors/ads, tie-ups, etc. Live Law: Intellectual Property Right is the most dynamic law of our country or for that matter across the globe, how do you as an Editor in Chief, manage such a vast area of law? Swaraj: It’s certainly a wide and very dynamic area of law / policy with things happening and changing all the time. I’ve been a part of the team for a while now though, so, luckily even if the specific topic is something I don’t know about, I usually know where to look to learn about it. It’s a constant learning experience. It certainly helps a lot that we have some experienced IP experts on the team to turn to if there are any questions. Live Law: what message will you like to pass on to the law students who are undergoing their graduation, to help them to achieve best in their life? Swaraj: You won’t always know what the best step forward is and that’s okay. Just make sure you’re not stagnating, and you’re always actively doing something to move forward. And help others when you can. Good things will happen. Live Law: Last but not the least, Comments on Live Law. Swaraj: It’s great that Live Law is doing what it does and I look forward to seeing it grow further. Well thank you so much Mr. Swaraj Paul Barooah for such an enlightening conversation. We wish you all the more success in future. Legal News India, Legal Interviews, Intellectual Property RIghts, IP Law,Swaraj Paul Barooah.